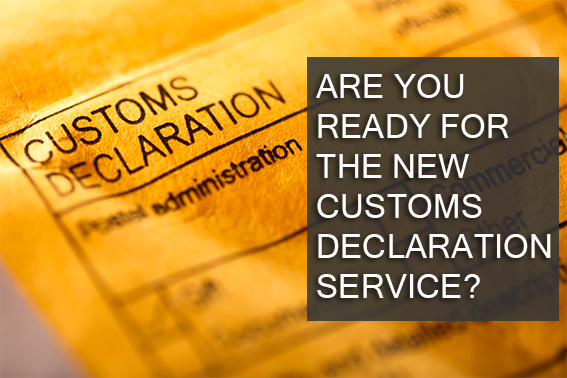 Are you ready for the introduction of the new customs system? HM Revenue and Customs (HMRC) in August launched its new customs system (CDS) which will replace the current Customs Handling of Import and Export Freight system (Chief). The benefit of CDS is that it is a modern flexible system equipped to deal with the increasing number of custom entries. It also has the potential to reduce the number of declaration you might need to make if you are trading outside of the EU. Whilst we still don’t know what the outcome of the Brexit deal will be, we are told that the CDS system will handle up to 300 million declarations a year should the need arise due to Brexit. There will be no impact to your logistical supply chain as long as you are prepared for the additional information that will needed to be collected for import and export declarations outside of the EU. If you have any further questions relating to the CDS system WTA’s Andrew Gooch will be more than happy to field any questions. Discover How to Reduce Your Total Landed Costs When Shipping Food Products from Europe to the US. Efficient logistics and cost management are the priority for every company’s supply chain. Yet, businesses that export internationally often focus only on their shipping rates when it comes to reducing their costs. This is especially true for European food exporters selling into the US marketplace. The appeal of a large market and historically low ocean shipping rates make it easy to lose sight of the costs that matter the most – total landed costs. Most companies, even those already exporting to the US, can sometimes underestimate the complexity of shipping and selling products in the US and their businesses struggle as a result. Negotiating lower shipping rates, whilst important, should not be seen as the only opportunity for optimising total landed costs. The end to end process and network of partners that companies use to get products to their US customers, and the cost implications of those decisions, are important considerations as well. Companies that view logistics as part of a strategy can reduce their costs by understanding the impact of issues at each stage of their supply chain. In the case of selling to the US from Europe, the real work only begins once the product is at its US port. In fact, 26% of a company’s costs are in the supply chain, while only transportation only making up 4%. So, logistics decisions should be made not just on transportation costs, but on how they affect the entire supply chain. Shipping internationally to the US requires - and benefits from - a different approach to supplier partnerships than what may work best within Europe. But like any cross-border supply chain, the country specific customs regulations, unique logistics infrastructure, and business culture are real barriers that companies need to overcome. All partners within the logistics chain, including carriers, warehouses, and customs broker must be aligned to serve a company and their customer’s needs. Otherwise each supplier will concentrate on their own goals, and not what is best for the customer. 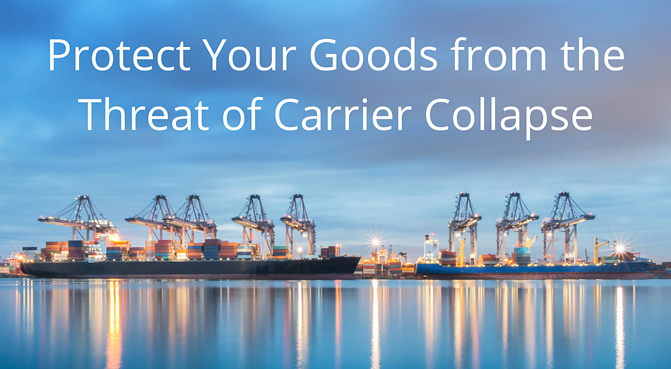 The right partners are those that can ensure smooth customs clearance and final customer delivery, including minimizing damage claims and charge backs, and even creating opportunities for consolidation. A deep understanding and experience with the US food market is another basic requirement in finding the right partner. Food products are unique and time-sensitive, therefore, creating a consistent and reliable programme takes planning. The ability to navigate the stringent delivery and packaging requirements of the industry is invaluable to ensuring deliveries happen on time, damages are minimised, and charge backs are avoided. And of course, the basics of customer service should be an expectation of any partnership. This includes proactive issue identification and resolution. With a shipping process that extends from Europe to locations all around the US, this is no easy task. This is only possible through full supply chain visibility that leverages technology and a connected network of transportation resources. Technology is another important consideration in choosing the right partners, and essential for shipping to the US. The use of technology has come a long way in the shipping industry. The complexity of managing rates, objectively weighing the large number of mode and carrier options, as well as the expectation by customers of real time tracking information are all made easier and more efficient with technology. And again, the importance of each is magnified for time sensitive food products. Technology makes objective decision making possible. The best example is seen by considering the many shipping options available in the U.S. Countless rate, service, and carrier options complicate decision making but technology ensures the right choice is always made to balance cost and service. Logistics technology can provide network modeling to optimise shipping costs, account for tight lead times, and minimize time to market. Analysing and bench marking against KPI’s is another technique for improving internal operations. While the expense of technology can be high, cost models are coming down, making it affordable for even small businesses, and enabling them to stay competitive. Success in the competitive US marketplace takes a high level of supply chain efficiency. This means every European food manufacturer shipping to the US needs a network of logistics partners that are working towards a common goal - while leveraging technology to the benefit of costs savings and better operations. Engaging with an experienced partner who is currently operating within the complex US food-retail market is the most direct way to reduce total landed costs and improve any supply chain network. Will technology see the demise of the Freight Forwarder? The Demise of the Freight Forwarder fact or fiction? As an industry, freight forwarding is often criticised for being slow to adopt technology and new ways of doing business. Whilst there may be some truth in this sentiment, to say there is a complete lack of innovation is overstated. We would agree however, that there is a lot of room for improvement. In recent years there has been an increase in cloud-based freight marketplaces and other ‘online portal’ technology that claim to be disruptors to how shippers and freight forwarders operate. This is one area where technology has made progress with regards to adoption. The problem is most of these technologies are not much more than simple quoting tools to calculate a rate from point A to point B. On one hand, it is positive to see an increase in the use of technology but very often they are designed to address only a very narrow need within the supply chain function. Worse yet, the ‘rates’ quoted are usually missing significant, but common, fees and surcharges that are hard to calculate far in advance of a booking. With such limited functionality shippers are also only addressing a small piece of the total supply chain costs that make up their true landed cost for a shipment. The truth is freight forwarding requires processes that are both people and systems driven. In other words, technology should be able to support the entire process, but it takes people and experience to get the work done. The best combination is when technology is applied as a decision support tool (e.g. helping to calculate an accurate ocean freight rate and selecting the best carrier) and an experienced team to deal with everything else that goes into the successful, seamless execution of a shipment. Forwarding is a service based solution before anything else. The most visible example of this in practice is how hard it can be for shippers to find support when service issues come up. The costs and impact of service disruptions (which are themselves sometimes simply inevitable) are often overlooked. Forwarding partners need to proactively keep their shipper customers informed as service issues are worked through. This doesn’t always happen with a booking portal which might only offer email support. Solutions and ‘products’ need to drive on-going cost savings too, and not just provide ‘too good to be true’ spot rates. Routing decisions made outside of the context of a larger supply chain plan are not efficient, but this is how simplistic quoting tools operate. 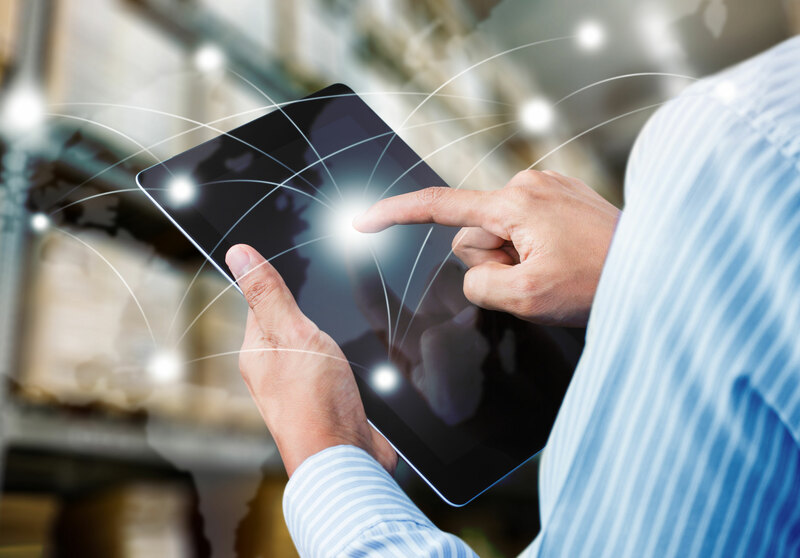 There is no question that technology helps drive efficiencies in freight forwarding, but it can’t be thought of as the ONLY thing. Freight forwarding is a complex business that requires technology, but personal attention and experience matter too. A focus on spot rates at the sake of total landed costs is a mistake. And, an online booking tool can’t replace a real supply chain strategy. When technology is used the right way, it supports optimal decision making and creates the most efficient supply chain possible. Top Five tips for exporting food products from Europe to the U.S. The U.S. food market, now approaching $100 MM in annual sales, continues to grow consistently with no signs of slowing down. The opportunity is ripe for you as a European food exporter to start or increase your food product offering to the U.S. recognising American consumers are increasingly open to new tastes and food experiences. However, many of you, who have made the jump are finding the road is not always so smooth. Strict customs requirements, U.S. regulators such as the FDA (Food and Drug Administration), and a consolidated network of industry players are very different from Europe, creating unique challenges. Below are our top five tips to help you avoid unnecessary delays and extra costs to your food supply chain when exporting to the U.S. It is important to note that transport is a very different process from managing logistics within the country, which is a common mistake that logistics professionals in Europe make. That said, shipping food products to the U.S. can be a relatively easy process for you, if you choose the right carrier who can provide the best balance of service and cost. While the logistics infrastructure in the U.S. is efficient, the country is also very big. With time at such a premium for your food goods, understanding the potential impact of long transit times and cost inside the country must be considered. Special handling, like a temperature-controlled environment, must also be considered for certain food products. The movement of food products into the U.S. may require the involvement of up to four separate government agencies, including US Customs and Border Protection, FDA, US Fish and Wildlife Service, and US Department of Agriculture. The entry process, and potential delays, typically represent the biggest challenge during the logistics. However, the ACE (The Automated Commercial Environment), which is the government’s primary system through which it determines admissibility, helps to make the process easier. Entering the U.S. food market is a challenging process, and not a process most companies can navigate successfully on their own. But with a sound strategy and the right partnerships, these are all challenges that can be overcome. Usually, when companies export to an outside market, the focus is placed on the shipping process while cost reduction is emphasised at the expense of everything else. While costs are important, this can be a very short-sighted approach. International shipping rates are historically low right now and, while paying a competitive rate is important, the real opportunity for improving shipping is by looking at a broader end to end process for your food supply chain and creating a logistics strategy that works with all the functional areas it connects with. The complexity of managing rates, objectively weighing the large number of mode and carrier options, as well as the importance of real-time tracking information make technology a critical part of the process. These factors are magnified even more for time-sensitive food products. An important benefit of technology is gaining access to data and the ability to use it. Logistics technology can provide network modelling to optimise shipping costs, account for tight lead times, and minimise time to market. Understanding other details like an item’s ‘Cost of Goods Sold’ is another potential output of detailed data analysis only made possible by technology. The downside is that the cost of technology can be high. But, the good news is the cost models for how shippers can access technology is changing – which leads us to the third piece of advice. The complexity of the challenges between European and U.S. markets serves to emphasise the importance that solutions have to be customer and product-centric. All partners, including carriers, warehouses, customers, brokers, etc. need to be in alignment to successfully service a company’s needs. Any company interested in selling their food product in the US is wise to find a qualified partner who can provide an independent, end to end solution. A partner who is aligned with the customer’s objectives is able to create asolution that is based on the customer’s best interests. The right partners are one that can ensure smooth customs clearance and final customer delivery, including minimizing damage claims and chargebacks, creating opportunities for consolidation, using technology to assist with the process. The ability to navigate the stringent delivery and packaging requirements of the industry is invaluable to ensuring deliveries happen on time, damages are minimized, and chargebacks are avoided. If you would like a more comprehensive outline to exporting food products to the USA, sign up to our White Paper, coming out on the 5th of September. Hard Brexit is announced, what will the implications be for your business? Teresa May, outlined her Brexit priorities for when article 50 is invoked at the end of March. Firm in her remarks that Britain will leave the European Single Market and the Customs Union. By leaving the European Single Market which allows the free movement of goods, people, finances and services. Teresa May outlined that the UK will take back control of its borders and immigration. It will no longer be bound by EU rules and regulations, nor the European Court of Justice. Moving away from full membership of the Customs Union, according to May will allow for the UK to strike deals with non EU countries and not be restricted by the external tariffs that are applicable through the current EU membership. The UK wants a new "comprehensive free trade agreement", giving it "the greatest possible access" to the single market”. The hard line approach to Brexit and setting out more clearly the direction the UK will take in its negotiations gives businesses more clarity. Yet there is still a very long and winding road to go down. Teresa May’s tough stance on negotiations with Europe have clearly been outlined, yet the UK could still end up with more red tape, rising tariffs which will in turn effect businesses who export and import. Supply Chains could be severely impacted/disrupted and the prices of goods will very likely increase. Contingency plans on how you can mitigate the costs in your supply chain should be worked on now. Contact WTA, we can provide you with the strategies you need to deal with the complex trading arrangements that are likely to be coming our way. The pace of the global market is accelerating at an incredible rate. Through globalisation and technology, we are gaining access to consumer groups all over the world. And, we are now also able to bring the goods of different countries into our own. Economically, importing goods from other nations can be incredibly beneficial. Costs of manufacturing might be lower and resources might be less expensive, allowing for a more profitable business operation. As one of the world’s largest exporters, China draws a great deal of interest from foreign businesses. China’s ability to mass produce and assemble products for a competitive price has made it incredibly popular, as the lower prices bring with them the potential for enhanced profit margins. For the UK, the desire to import goods from China is vast. This trade lane is now the UK’s third largest, and demand for Chinese goods is still on the rise. So, how can you take advantage of the benefits of importing from China? How can you ensure a streamlined shipment? At WTA, we have decades of experience dealing with imports from China into the UK. And, with head offices in both London and Hong Kong, our international shipping experts have a profound understanding of what you need to do in order to achieve a safe and reliable delivery. Before you begin your import from China, here are some important factors that you must consider. When shipping your goods internationally, the mode of transport has a significant impact on your delivery. Air freight, for example, might be faster than sea, but it is more expensive. To discover the right fit for your needs, it’s important that you identify your shipping goals. Do you have time constraints or a next-day delivery policy? Are you looking to optimise your profit margins as much as possible? The answers to these questions will shape your final shipping solution. In order to bring foreign goods into the UK, a number of important documentation needs to be accounted for. Firstly, you must find out the relevant Commodity Codes for your items. Commodity Codes are essential to your shipment as if your products are incorrectly labelled it could result in UK Customs delaying or halting your goods. In addition to your commodity codes, you will need to obtain an Economic Operator Registration Identification number (EORI). This number is used by UK Customs to ensure the upkeep of border security and helps to streamline your shipping processes. 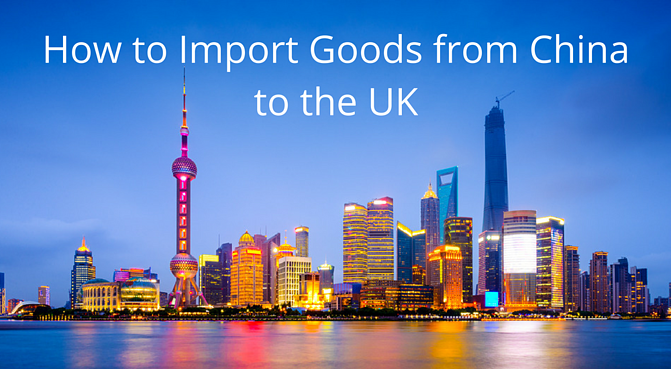 When importing goods from China into the UK, you will be required to pay certain fees and taxes on your products. The VAT, or Value-Added Tax, will need to be paid in most cases, as will duty on your goods. The duty you pay will depend entirely on the classification of your goods, as well as how they will be used within the UK. There are a great many shipping companies in the market today offering a wide variety of services. It is important that you take the time to research your potential service providers, so you can utilise one that is aligned with your goals and business needs. At WTA, we are international shipping experts and specialise in transporting goods from China into the UK. Offering a bespoke service, our solutions are 100% tailor-made to suit your unique needs. By working hand-in-hand with you, we can develop an outcome that offers you the best return on investment. With expertise in complex customs clearance, supply chain management and international logistics, we can help you to transport your goods reliably, safely and in accordance with your budget. Otherwise, if you’d like to learn more about a custom solution for your China import, request a free quote today. For businesses, the ability to ship goods internationally has opened the door to endless opportunities. But, it has also opened a Pandora’s Box of questions in regards to where to ship in or out of. What is the best country to ship to? Why should you import goods? What are the benefits of exporting internationally? One of the most important factors to the success of your shipment is identifying the perfect market for your products. And, when looking for viable countries in which to offer your goods, it’s hard to go past the United Kingdom. A champion of industry and consumerism, the UK has one of the most active markets in the world. And, with a soaring population and incredible diversity, it’s easy to see why so many people choose to centre their business there. But how do you go about it? 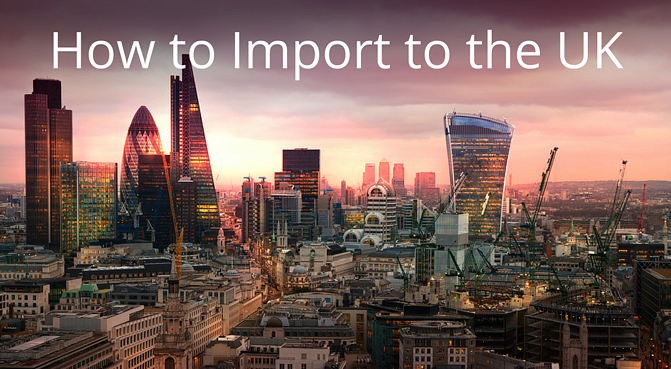 How do you import goods into the UK? At WTA, we are UK shipping experts and have over a century of experience of handling imports into the UK. As such, we know that in order to achieve a successful shipment, it is vital that you organise all necessary paperwork and documentation. This will ensure that your goods arrive on time and to their intended destination. Here are some of the factors you must account for before you begin your importing endeavours. One of the first steps in importing goods into the UK is to discover the correct commodity code that applies to your items. The commodity code is what determines what taxes and duties you pay, and any licence or quota requirements you pay for your goods to be brought into the country, so it’s vital that it is accurate. If they are not, HM Revenue and Customs can fine you, as well as potentially hold or seize your goods - resulting in delays and unwanted additional costs. The VAT, or Value-Added Tax, will need to be paid in most cases on the goods you wish to bring into the UK. The Economic Operator Registration and Identification scheme (EORI) is a number you must have if you trade or carry out customs activities in the European Union. Assigned by a customs authority, the EORI number is used in any communications with a EU customs agents when a customs identifier is needed - for example, when declaring your goods. Having an EORI is essential to enhancing the level of security implemented by the government when importing goods into the UK, and is a key part of the importing process. To learn more on EORI numbers and to check if you require one, you can find more information here. Depending on your particular situation, you might be required to pay a duty tax on your imported goods. This all depends on how your goods are classified, and how they will be used. However, if your goods are produced in the European Union, no duty will be needed. In some instances, the goods you import into the UK may be restricted. Nations such as Canada, China, Japan, South Korea, Pakistan and the USA all have unique restrictions on what goods you can import. Before beginning your shipping endeavours, explore whether the region you are importing from is subject to any of these restrictions. If you account for all of the above factors, you will be well on your way towards an efficient and timely shipment. However, if you are new to shipping or aren’t sure where to start, the team at WTA would be happy to help. We are seasoned experts in importing goods into the UK and can help you to optimise your shipments to give you the best return on investment. Learn more about how we can help you, or to kick-start your shipping process, download our free International Shipping Checklist. International trade has become the norm for the modern day business. Increased globalisation, access to digital marketplaces and faster modes of transit...the door to endless opportunities has been opened. However, with the instability of carrier finances rampant in the industry, what happens if one or more of them exit the market? What can be done? How can you ensure that your business can proceed without disruption to your supply chain and increasing costs? We can offer you a best-in-class carrier programme and, teamed with our understanding of the current financial position of shipping lines, you can be rest assured that your goods will arrive at their intended destination on time and on budget. With the collapse of the Hanjin shipping company still making waves, those who engage in international freight are calling for greater financial transparency. And, with some large carriers still in financial peril, there is growing concern about another closure which could result in the delay of thousands of goods. Now, with their products and profit margins on the line, consumers are preparing themselves for the worst - even requesting access to hidden financial documents before entrusting their cargo to a specific liner. This is hardly an ideal position to be in as a consumer, and many are shortening their supply chains in order to mitigate the current risks. But what can be done? How can you ensure that your business can proceed without increasing your costs and danger to your goods? At WTA, we fully understand the challenges you go through. From one-off deliveries to regular commercial shipments, each requires its own unique solution in order to achieve the best results. By working hand-in-hand with you, we can develop a bespoke service that is 100% tailor-made to meet your individual needs and goals. And, through our preferred carrier programme, we can give you the flexibility and reliability you need in order to have a successful delivery. To protect you against delay, we closely monitor carriers and ask for total transparency in regards to their financial situation. To give you the best return on investment and peace of mind, we don’t offer a one carrier solution. It rarely meets your needs and doesn’t help to spread the risk should any other shipping lines suffer the same fate as Hanjin. Ensure your logistics provider has in depth knowledge of the situation at hand. With ever-changing events and financial realities, your provider needs to be as up to date as possible. Additionally, a contingency plan in case another carrier exits the market will allow your goods to proceed with minimal delay. We can offer you a best-in-class carrier programme and, teamed with our understanding of the current financial position of shipping lines, you can rest assured that your goods will arrive at their intended destination on time and on budget. Would you like to learn more about how you can optimise your shipment during these unstable times? If so, you can find more information here. Otherwise, please feel free to request a free consultation with our global logistics experts - we’d be happy to help you navigate the tricky waters of international shipping any way we can. For those shipping food goods from the UK to the USA, the ability to swiftly transport your products is vital. Not only can longer delivery times result in heavier costs, they also put your goods at risk. So how can you ensure your goods arrive at their intended destination on time? 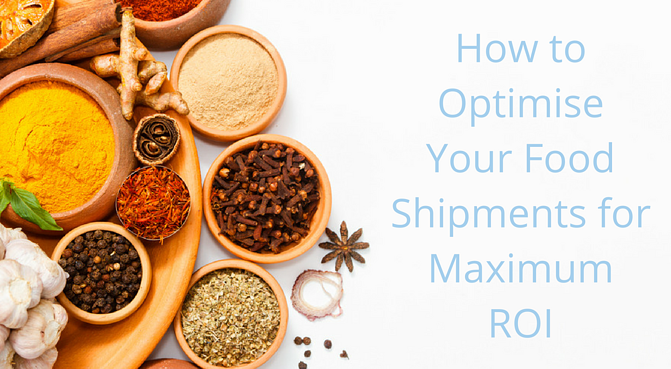 How can you optimise your processes to reduce your shipping costs? How do you safeguard your goods? Here are some key factors to focus on in order to achieve successful food shipments. Food customs clearance is a key aspect of your shipment process. This is where the majority of delays occur. Many shippers find themselves marooned amongst a heap of faulty or misplaced paperwork. Shipping foods internationally is an incredibly complicated process, and U.S. Customs and Border Protection is notoriously difficult. As such, this facet of your food shipments must be paid due attention. Poor planning and execution can lead to your goods being halted, resulting in spoilage or, at the very least, increased cost and late delivery. To allow your food products to proceed unhindered through Customs, ensure you have all correct documentation and food labelling. If you are new to shipping or are unsure of what you need to do, enlist the assistance of an expert. At WTA, we have decades of experience in food shipments from the U.K to the U.S. We’d be happy to help you in any way we can. The speed of your food delivery is dependent on the efficiency of your supply chain. The shorter and more productive your logistics are, the better. However, if you have a longer supply chain, you can still enhance it for improved results. Analyse and optimise your logistics processes: By investigating your supply chain, you can identify areas of peak and minimal performance. Once you know where the problems are, you can work to remedy them. Improve Your Data Systems: Moving from outdated or slow data systems to advanced, cloud-based technology helps to speed up your supply chain and improve your communication structures. Always Look to Improve: Committing to continuous improvement will help to keep your supply chain working like a well-oiled machine. By utilising the above strategies, you can create a supply chain that moves your products to their final destination as swiftly and cost-efficiently as possible. The best way to ensure your food products arrive at their intended destination on time and on budget is by working with an expert. Regulations, trade agreements and markets are constantly shifting - how can you keep up with it if you’re focused on your business? By enlisting assistance, you can rest easy in the knowledge that your goods are being handled with all due care and professionalism. You don’t have to spend your time studying the ins and outs of international trade. Instead, you can let seasoned experts handle it while you focus on more important areas of your business. Remote and electronic filing, so we can control your customs clearance from anywhere in the U.S.
Don’t leave your food products vulnerable to delay or spoilage. By using the above approach, you can ensure that your goods arrive on time and in premium condition. 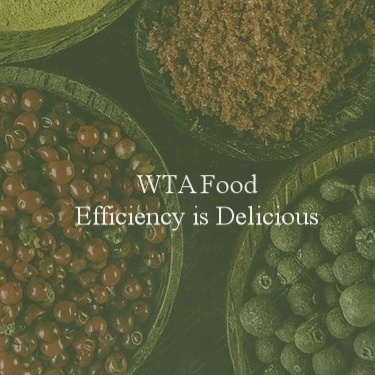 Would you like to learn more about how WTA Food can help your business? If so, you can find more information here. With the Frankfurt Book Fair nearly upon us, the excitement amongst those in the publishing industry is growing. A fantastic opportunity for networking, the Frankfurt Book Fair allows like-minded businesses to mingle, to explore new opportunities, and discover new potential customers. However, this illustrious event is also a prime time for those shipping books to refine their logistics. Distributing books around the globe is a complex and costly endeavour. And, if you have a lengthy supply chain, it can be even more so. How can you ensure that all of your containers arrive at their destination on time? More so, by leaving your current supply chain untouched, you may be missing out on potentially thousands of pounds in savings. As global logistics specialists, we are well aware of the incredible benefits streamlining your supply chain can bring. But are you? 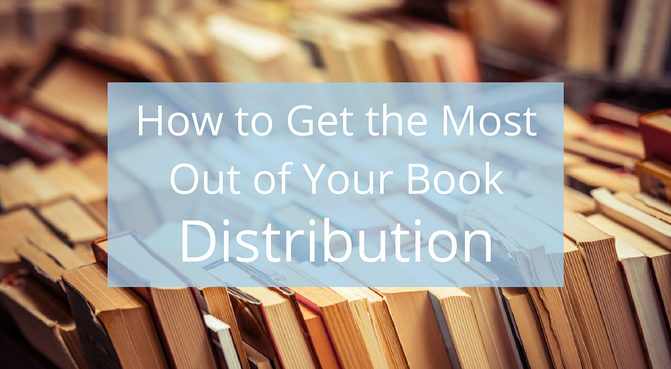 To help you transform your logistics into a beacon of cost-effective efficiency, here are some expert tips that will assist you in optimising your book distribution. The planning of your distribution processes is an essential component to ensuring a rapid and reliable delivery. However, for many in the publishing industry, this simply doesn’t occur. Instead, you’re left wading through a pool of paperwork, muddling through confusion which all too often leads to late delivery dates. Though planning can be viewed as an unnecessary task, it will help you to get your products delivered on time and on budget. This is especially the case when it comes to the fractious link between production and order fulfilment. Shipping books from your printer to the distribution centre is often left to the last minute. But, by tackling this vital component head on, you can make a significant improvement to the productivity of your supply chain. While swapping over to a new system can be time-consuming, ridding yourself of outdated, slow systems is an important step to optimising your logistics. The internal systems you use on a day-to-day basis have a substantial impact on your communication. They keep everyone on the same page. And, the more complicated your supply chain becomes, the more important this is to maintain. If confusion surrounds the key players in your logistics, it makes it that much harder to ensure all deliveries arrive on time and on budget. By reassessing your current processes, you are able to discover that aspects of your systems are letting you down. Once you know what needs to be fixed, you can begin the process of changing it for the better. Analysing your processes is also a great way to discover any areas in your supply chain that are no longer effective. They might be slow, or even unnecessary due to a change in circumstance or technology. Removing these areas of disruption is the key to a swift, reliable supply chain. Innovative, online tracking systems are a considerable attribute in the optimisation of your publishing logistics. By utilising a 24/7 online tracking system, you can build improved management and execution of your publishing orders. Once more, this all comes down to clear, concise communication. A tracking system gives you and your stakeholders the ability to keep on top of the current status of your shipment, so you can amend your plans and actions as you go. Discuss with your logistics provider if a tracking system can be put in place for your goods. At WTA, we offer a free online Track and Trace system, purely so you and your team can remain up to date on your shipment status. In the publishing industry, markets and demands are constantly changing. Globalisation has opened the door to endless overseas opportunities - but also competition. To stay ahead of the pack, having a cost-effective and reliable supply chain is paramount. At WTA, we understand that transforming your logistics can be easier said than done. At the Frankfurt Book Fair, why not speak to our WTA Media expert, Martin Watts? With decades of industry experience and in-depth knowledge of supply chain management, he can help you to get the most out of your shipping operations. Follow Martin on Twitter today, or get in touch with him here. 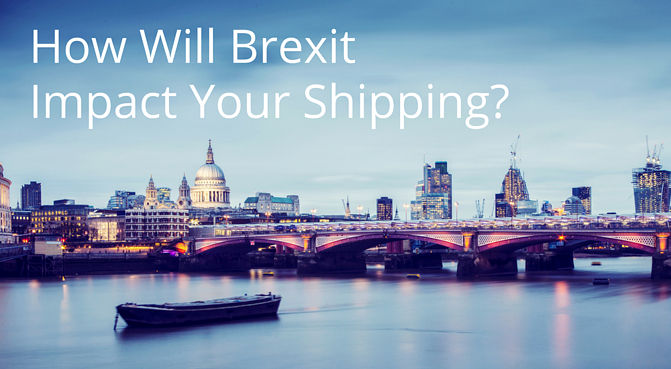 How Will Brexit Impact Your Shipping? Britain’s historical vote to leave the European Union has had a global impact. From stock prices to travel plans, a lot of people have been affected in some shape or form. At WTA, we want to help you enjoy streamlined and stress-free shipments. 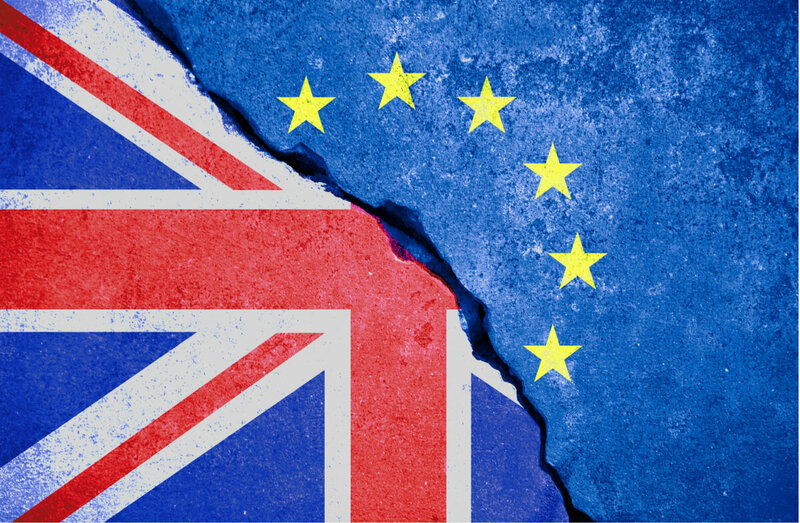 To help you keep on top of Brexit’s impact on your business, here are some main points of concern that you need to be aware of. However, the recent Brexit move risks potentially isolating the UK politically, which could lead to a lack of direct vessel calls. As the UK no longer has a large UK-based container fleet to play the hero, this would result in shippers needing to rely on feeder services. However, Drewry Maritime Research believes that container lines will continue to stop at Britain’s ports, despite the Brexit. A large contributor to this relative decrease in trade volume is the instability and uncertainty of Britain's trade agreements. No longer amongst the EU, the UK must forge new alliances and agreements, which will undoubtedly impact the number of goods coming in and out of the country. However, discovering new trade agreements isn’t necessarily a bad thing - they could, in fact, lead to more favourable shipping environments. The potential for increased costs and decreased efficiency here is unfortunately very real. As these issues arise, they will have to be dealt with as soon as possible by the government. Some companies are already lobbying the UK government to ensure that the simplification of shipping process is on the agenda. While Brexit is a turbulent time for the UK, the increasingly globalised world we live in helps to encourage open borders and advantageous trade agreements. However, if you are new to international shipping or don’t have the time to keep up to date with the ever-changing rules and regulations, consider hiring an expert to assist you. At WTA, we are international trade and global logistics experts and specialise in complex customs clearance. If you would like to learn more about how we can streamline your shipping and customs processes, you can do so here. In today’s highly competitive, global market, international shipping is a common occurrence. Be it one-off or regular shipments, majority of businesses have or will engage in some form of international freight at some point. Shipping goods around the world can open up incredible opportunities for your business. However, it can also be a costly endeavour. 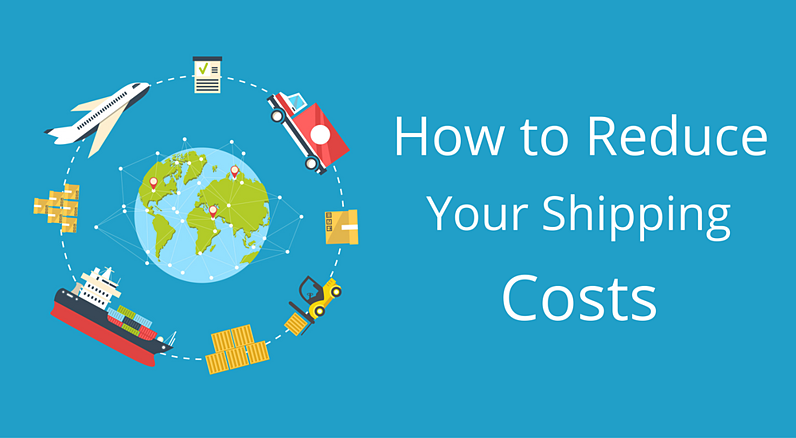 So, how can you work to lower your overall shipping costs? How can you optimise your efficiency and profitability? It all starts with your supply chain. At WTA, we are international logistics experts. With over a century of experience in supply chain management, we know what you need to do to create a streamlined supply chain. Your supply chain is the key to reducing your overall freight costs. The longer or more complex your logistics are, the more it costs you to transport your products. Every step your item takes towards its destination is another added cost to your process. 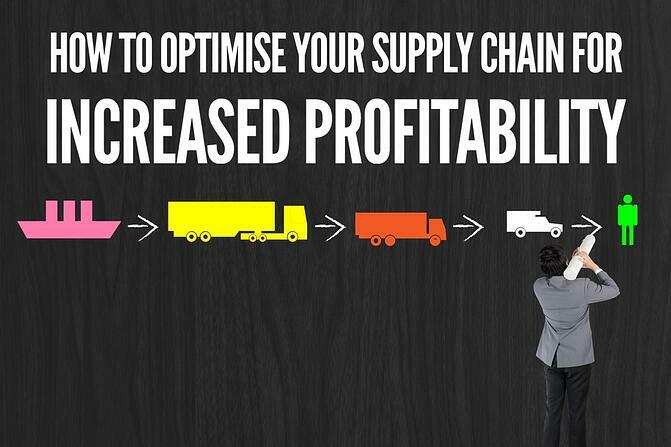 In order to lower your costs, your supply chain needs to be optimised to enhance its efficiency. There are a number of things you can do to streamline your supply chain. The first step towards improved efficiency is to analyse your current supply chain situation. How many stop off points are there? How many ports do your products come in and out of? Do you need warehousing before or after transportation? All of these factors and more have an impact. However, just because you have a long or complicated supply chain doesn’t mean it has to stay that way. By analysing your supply chain, you have the potential to eliminate any unnecessary areas. Technology and procedures are developing constantly - your supply chain needs to evolve with it. It is this commitment to continuous improvement that will give your business a competitive advantage. The less money and time you are spending on shipping your goods, the more you can spend on other factions of your business. Another action that you can take to improve the efficiency of your supply chain is to improve your current information systems. Good, clear communication between yourself and the people in your supply chain will help you to significantly improve productivity. It results in less confusion, so your goods can reach their intended destination faster. Improving your current data systems will also help you to streamline your supply chain. Giving key members of your logistics access to reliable and easy to navigate information keeps everyone on the same page, decreasing the margin of error and your overall costs. Do You Want to Enhance Your Supply Chain? If you would like to optimise your supply chain but feel you lack the time or expertise to do so, consider hiring an expert to assist you. At WTA, we are international supply chain specialists. Offering a fully comprehensive Supply Chain Management service, we can help you to amend your logistics in a way that will give you the best ROI possible. Would you like to learn more about our Supply Chain Management Service? If so, you can do so here. The more globalised the world becomes, the more access businesses are getting to overseas markets. Boarders are opening up, trade agreements are being signed, and companies who are willing to put in the hard yards now have the ability to expand their business like never before. However, with higher utilisation of overseas markets comes longer and more complicated supply chains. And, the more complex the supply chain, the higher its cost. The fact of the matter is that your supply chain plays a large role in the profitability and efficiency of your shipping endeavours. Every single stop along the way delays your product that little bit more, and the longer it takes for your product to get from A to B, the bigger the bill at the end of it all. For importers and exporters, streamlining your supply chain should be a task held in paramount importance. It can make a substantial difference to your business - saving you precious time and money. But, how can you do it? How can you transform your supply chain and make it more efficient? Here are some tips from our global logistics experts that can help you enhance your supply chain. The first step that we would recommend in order to streamline your supply chain is to analyse its current standing. How many points of contact are there from your products’ starting point to it’s destination? How long does it take on average to go from A to B? Are there any unnecessary points of contact? Can any areas be shortened or quickened? By conducting an in depth investigation into your logistics, you can arm yourself with all of the facts you need in order to begin optimising it. When it comes to data systems, every business has different tools and software that they use. However, what they all have in common is that they have the power to optimise your supply chain - if done correctly. Improving the accuracy and usage of your data systems can significantly help you to speed up your logistics. Removing the instance of errors helps to keep everyone on the same page - which is especially important when importing or exporting overseas. Additionally, utilising effective software platforms can help you to reduce time spent on data entry. And, if you’re using cloud software, you can ensure that your counterparts all around the globe have access to your data in real time. No more scrambling to keep each other informed, just unification of knowledge and goals across the board. In this digital age, we now have access to a vast array of software and systems to improve business processes. That being said, it is also vital to leverage the systems you already have. While the systems themselves may be old, the data they collect can still contribute valuable information towards planning and analysis. To have a dynamic and profitable supply chain, it must constantly be assessed and adjusted. Leaving it stagnant for months - or in some cases years - allows it to become out of date, or to slip into inefficiency. Making the commitment to continuously improving your logistics ensures that your supply chain is as cost-effective and quick as it can be - at all times. Placing a large focus on the productivity of your supply chain is a must for all importers and exporters. Not only will it help you to reduce delays in your good’s travel time, it also has the potential to save you a substantial sum of money. At WTA, we understand that your supply chain is a vital yet highly complex part of your business. It can be difficult to know where to start, or how best to streamline it. As international logistics specialists, we offer a fully comprehensive supply chain management service. If you’d like to learn more about it and how it can help your business, you can do so here. If you’re an interior designer, streamlining your logistics can be quite the challenge. From priceless knick-knacks to large-scale furniture shipments, you must get your goods to their destination in immaculate condition. And within a reasonable amount of time. It’s enough to make even the most seasoned shipper nervous. There is no better example of this than the process of shipping carpets. Be it a small carpet for a retail sale or a commercial-grade shipment, time is of the essence. If you’re sending to retail customers, you often have to live up to strenuous “next day” delivery expectations. Or, if you’re shipping a large quantity for B2B purposes, you need to conform to strict deadlines. Either way, you need to be 100% confident in your supply chain. With the SOLAS Weight Verification changes coming into play on July 1st, now is the time to get all your metaphorical ducks in a row. Our global logistics experts specialise in shipping carpets great and small all over the world. We know how important it is to select a provider that is an exact fit for your needs - but how do you find one? How do you know if they’ll get the job done, and done right? When it comes to transporting your goods, what better way to meet your goals than to get a customised solution? Having a tailor-made, white glove international logistics plan will help to give you a better ROI. Unlike large-scale shippers that force you into particular packages, a bespoke solution will be better suited to help you to reach your targets. You need a team that’s willing to go the extra mile to meet your needs. At WTA, we work with you to provide a completely personalised experience from start to finish. Due to this, we are able to give you the flexibility you need to succeed in your carpet shipping endeavours. If you’d like, you can learn more about that here. We know every single item you send is precious cargo to you. When searching for an international logistics business, select one that lives and breathes for your goods. Carpets often need to be delivered to building or renovation sites lacking in offloading facilities. Your provider needs to be able to cope with this. 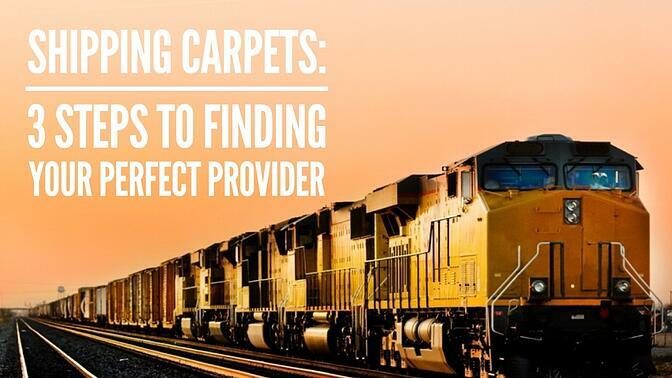 They should go above and beyond to ensure that your carpets get to their intended location as instructed. Though this usually presents issues such as undelivered or late goods, when working with WTA, these aren't complications that you’ll face. We always ensure that there is enough manpower to assist in the delivery of your goods. We pride ourselves on our reliability and security, so that you're unhindered by unnecessary and costly delays. When searching for a company to ship your carpets, your peace of mind will be one of your main concerns. You need a business that fully understands your industry, and that settling for less when it comes to your goods simply isn’t an option. When transporting your goods, we all know it’s not just about getting your items from A to B.
It’s about your overall experience. It’s about how beneficial and enjoyable it was for you and your business. Your carpet delivery needs are completely unique, and should be treated as such. Some logistics companies will see you as just a number, and some will have communication skills so poor, you will feel left in the dark. It shouldn’t be that way. But, happily, it doesn’t have to. When searching for a company to handle your goods, identify one who will genuinely put your happiness and business efficiency first. If you ship your carpets with WTA, we'll work hand-in-hand with you to give you an experience like no other. We'll thoroughly explore your supply chain, eliminating any unnecessary or costly kinks with our fully comprehensive supply chain management service. To further streamline your processes and rid you of stress, we also provide an in-depth customs and compliance service. Customs and compliance regulations are vital to the success of your shipping endeavours. Your provider should be completely across it. Without properly organising and preparing for customs and compliance regulations, you are taking a significant gamble with your goods. Not only could they be delayed, they could be halted altogether - a costly error indeed. Certainly one you’d be better off without. By keeping these 3 factors in mind when you select an international logistics and shipping provider, you are far more likely to find a company that will be an asset to your business. Our interior design speciality, WTA Interiors, is full of experienced personnel who can help you to enhance your profits through a streamlined and reliable delivery process. If you’d like to learn more about how our team at WTA Interiors can be of service to you, please contact our Interiors Specialist Justin Hope today. Alternatively, please feel free to explore this helpful page on WTA Interiors. The British International Freight Association (BIFA) – www.bifa.org – is pointing to two significant dates later this year that demonstrate to forwarders why acquiring Authorised Economic Operator (AEO) status has never been more important. The Union Customs Code (UCC) is being introduced across the European Union (EU) on May 1st 2016. There will be a number of changes to how goods cross EU borders and some transitional arrangements will operate until 2020. Two months later, new worldwide shipping rules to be introduced on July 1st 2016 mean that the weight of every container shipped must be verified using certified weighing equipment, or an approved calculation method. Robert Keen, BIFA Director General, says: “It has long been BIFA’s belief that acquiring AEO status is about setting yourself apart from the competition. The process of become AEO certified itself gives a forwarder the chance to analyse processes, examine standards and identify corporate or organisational weaknesses. In turn, once issues have been resolved, AEO certification means that the freight forwarder’s clients have that certainly that their logistics partner has surpassed tight benchmarks in regards to standards of operation. It’s not mandatory to become an AEO. However, for many authorisations and simplifications within the UCC a forwarder will need to meet some or all of the criteria for a Customs simplifications AEO certificate (AEOC). Mr Keen adds: “Increasing numbers of shippers, especially multinational ones, are demanding that freight forwarders have AEO certification before they do business with them, never mind being given preferred supplier status. Mr Keen is convinced that becoming AEO-compliant will benefit all freight companies that supply Customs-related activities including importing, exporting, logistics, freight, most manufacturers and many other players. Incoterms 2010: what are they, and how do they help you? Making the decision to start importing and exporting can be a daunting experience. There are many factors in play, and, for beginners, it can be difficult to know how to action them. One very important factor is to incorporate Incoterms 2010 into your contract of sale. Another layer of complication is the jargon that surrounds the freight industry. When you start out, it might feel like you need a translator, especially when it comes to interpreting the Incoterms 2010. At WTA we are global logistics experts. We offer a fully comprehensive Supply Chain management service to our network of international clients. As such, we know the ins and outs of this industry like the back of our hands. We want to help you get your head around Incoterms 2010. 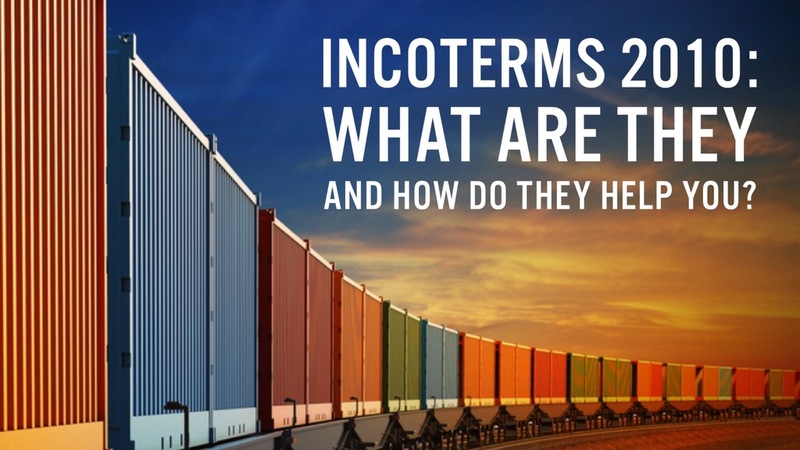 To get you started, our team of international freight experts have developed this helpful guide on what you need to know about Incoterms 2010. Standing for International Commercial Terms, Incoterms 2010 are a globally agreed and accepted structure of contract terms, devised and agreed upon by the International Chamber of Commerce. These terms are usually shown as a three-letter abbreviation, followed by the place relating to it (e.g. CIP Felixstowe port, UK). Incoterms 2010 aim to clearly define each parties’ obligation and make international trade that bit easier. There are many purposes behind Incoterms, all which streamline and protect your freight. Indicates whose responsibility it is to arrange and pay for transport. Set up a point of delivery from the seller. Decide where and when the risk switches between the seller to the buyer during the shipping process. Clearly define responsibilities including licences, documentation, notices, and general obligations. Dictate who pays for the cargo insurance during your transportation. Incoterms 2010 brings an air of clarity to a process that can so often be masked in a cloud of confusion. The fact that they are internationally recognised also provides you with a great deal of security. For a first-time importer or exporter, this is invaluable. Incoterms 2010 helps you to reduce unexpected costs or delays due to confusion. They also help you to diminish the risk/cost of litigation, as it’s recognised by international courts. There are 11 different Incoterms. These are divided up into 4 main categories and 2 classes. “E” Terms: Goods available at the seller’s premises. “F” Terms: Cargo delivered to the buyer’s carrier. “C” Terms: Main carriage paid by the seller. “D” Terms: Cargo delivered to the nominated location. Suitable for use by all modes of transport. Terms for sea and inland waterway transport. For a full list of the different Incoterms, click here. At WTA, our global logistics experts want to make sure your shipping is a stress-free process. We hope that you’ve found this information useful and that you can put it to good use. We understand that transporting your goods internationally, or even locally, is difficult if you’re new to it. If you have any questions, please don’t hesitate to contact our team of international supply chain managers today. We’d be happy to help in any way we can. If you’d like to learn more about what it takes to ship your goods overseas, why not check out our International Shipping Checklist? It’s the perfect place to start, and it’s free. Download the International Shipping Checklist today to ensure your international shipping is nothing but smooth sailing. Our environment is our most important asset, so we should all be increasingly environmentally-conscious. Global warming is altering the way we think about our impact on the world. A reduced ecological footprint and your company’s bottom line can be closely intertwined. So, how can your business work to reduce not only your carbon emissions, but also your overall costs? 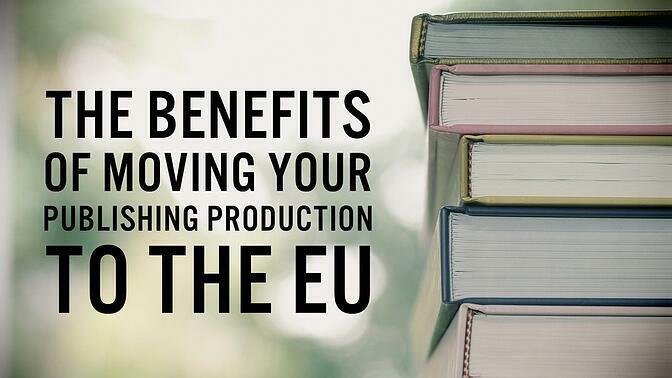 Discover how moving your publishing production to the EU could benefit both your business and the environment. An ecological footprint is the measure of your consumption of natural resources against the Earth’s bio capacity to regenerate them. For the transportation of goods, your total carbon footprint is nearly equivalent to how much fuel is consumed. Transportation costs are intimately bound up to total fuel costs. Therefore, the more efficient your freight is, the smaller your footprint, and the cheaper your overall cost. As global trade grows, there are benefits to keeping your supply chain regional. Moving production to the EU could have a number of positive impacts on your supply chain. The closer the distance, the cheaper your freight rates will be. And, you’ll consume less fuel, thereby decreasing your Co2 output. By moving production to the EU, your transit time can be reduced from 6 weeks to 6 days. This means that you can move stock much more quickly, saving time and maximising your efficiency. Businesses invest ample resources into inventory to maintain supply while new shipments are transported. However, by moving your production to the EU, the need to stockpile is removed. Reducing your inventory will ensure you spend less money on materials, as well as reducing any warehousing costs you have for extra stock. All in all, you can print less, but more often. Less “book-miles” equal a lower carbon footprint. Distance, cost, C02 output are all connected—efficiency in your supply chain will reverberate across the board. Carbon dioxide (CO2) emissions are produced from the burning of fossil fuels and have one of the biggest impacts on climate change. The higher the carbon content or the less efficient the burning process is, the more CO2 is emitted. Due to our reliance on fossil fuels, the amount of CO2 in the atmosphere has been increasing since the industrial revolution. Fortunately, by combining smart business practices and environmental awareness, we can begin to reduce our strain on the environment. Your environmental impact and your bottom-line are not incompatible. In fact, they are often interlinked. Maximising your efficiency in transit will bolster your environmental credentials, all while helping you streamline your supply chain and reduce your overall costs. If you’re interested in discovering the CO2 emissions your freight will emit from different locations around the globe, contact our WTA Media expert Martin Watts for a free demo. 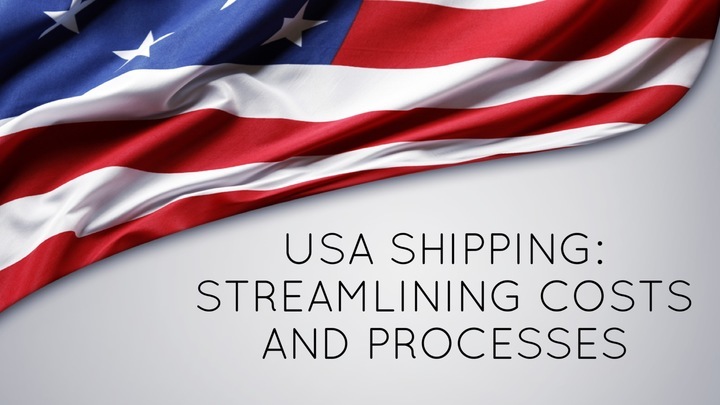 Transforming Your USA Shipping into a Cost Effective Process? Moving goods in and out of the USA can be a daunting prospect and can cost you thousands of dollars if you don’t have the right customs broker who will take the time to research and ensure that you have the right tariff to clear your goods. Our International Logistics specialists at WTA USA Inc. are well aware of the hazards, and how to avoid them. Taking the time to understand your custom clearance requirements, our team will help you streamline your delivery. Food, vehicles, printed matter or furniture- it doesn’t matter. We are here to help deliver your products without delay – saving you both time and money. This attention to detail and organisational skill serves to transform your international freight experience. The full line heavy truck dealer, Stadium International Trucks, is located in Upstate New York. Recently, they had an opportunity to engage in international business. A company in Northern Ireland was developing specialised horseboxes and was looking to utilise Stadium's products. An excellent opportunity, but the logistics of transporting chassis overseas presented a significant challenge. How was it to be done? Wanting a speedy and stress-free delivery, they turned to us for help. After in-depth research, we found a way to export and import the vehicles for Stadium - all with a competitive price. Though this was a complicated process, our dedication and communication ensured efficiency. Presenting Stadium with all necessary paperwork up front, we guided them with step-by-step instructions to ensure that their goods cleared customs, arriving at their destination without delays. After the modifications finished in Ireland, we organised the transportation back to the US. Documents were again presented to the client upfront so that we could get customs, Federal DOT and Federal EPA clearances. With this completely customised solution, Stadium International Trucks experienced no delays. Even better, our extensive research on specialty vehicles allowed us to find a compliant way to save them $20,000 in customs duties. With WTA, you can transform your business’ experience with international freight and logistics. Our team handle your goods and processes with the utmost attention to detail. We ensure that the process is not only speedy but cost-effective as well. To see how we can streamline your importing/exporting processes, Contact Justyna Zawada today. Or, if you'd like to learn more about our Customs Brokerage service, you can find more information here. In the world of business, globalisation is exceptionally powerful. We have a constant stream of information available at the tips of our fingers. We can connect with people half a world away from the comfort of our own homes. We can organise and send a package internationally - and it’ll arrive at its intended location in a matter of hours. This is truly a golden age of connection and community. However, it’s benefits extend beyond the realms of business. In this age of technology and knowledge, we have the ability to truly make a difference. To change lives. And that is the most powerful thing of all. 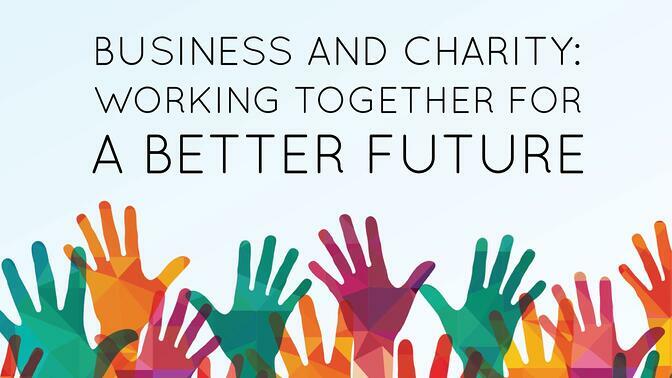 As an international logistics company, we have seen many different charitable organisations. Ones that do incredible things for their communities and make big differences to people every day. For us, one organisation that stands out and we are proud to support is the Butterfly Children’s Hospice. Since 2010, this amazing charity has been working hand-in-hand with the Chinese government to provide care, treatment and a loving environment to abandoned, orphaned and sick children. From day-to-day care to life-saving operations, the Butterfly Children’s Hospice and it’s dedicated staff and volunteers do what they can to make the lives of sick and abandoned children the best they can be. Regardless of how small or how ill, this charity has created places they can grow and laugh. Places where they are safe and loved; where they can be children. They give them a home. The Butterfly Children’s Hospice do amazing work for their communities. They give these children a second chance and give them the opportunity to have treatments that can save their lives. Some children who have had these life-saving treatments have gone on to make full recoveries. Some have even been adopted into loving and caring families. The moment we heard about this fantastic organisation, we knew we had to be a part of it. We are proud to work with The Butterfly Children’s Hospice. Through our donations, we help to give them the support they need to provide food, beds and clothes for the babies and children in their care. We are delighted to see this beautiful charity grow and to be a part of their journey, both for now and the years ahead. At WTA, we are deeply invested in positively contributing to the communities we operate in. Each WTA office has local charities they support, doing fundraising activities from baking competitions to long distance bike rides. Our community and charitable endeavours are activities that give us a great deal of pride. It’s an incredible thing to be a part of, and the knowledge that our support has made the lives of sick and abandoned children that little bit better is all the encouragement we need. If you’d like to learn more about the Butterfly Children’s Hospice and WTA’s other charitable and community support efforts, you can find more information here. With the Union Customs Code fast approaching and launching in May 2016 our customers can start to reap the rewards of WTA’s AEO certification. The Union Customs Code has been specially designed around companies that have AEO status by offering them significant benefits. There are less than 200 freight forwarding companies in the UK with full AEO status, and WTA are proud to have had full certification in Customs simplification and Security and Safety procedures for 5 years. AEO holders will also benefit from facilitating the swift movement of goods through ports around the world, as more mutual recognition schemes are agreed with the EU. Contact us today to discuss how WTA and our AEO status can help take the pain out of your freight movements.